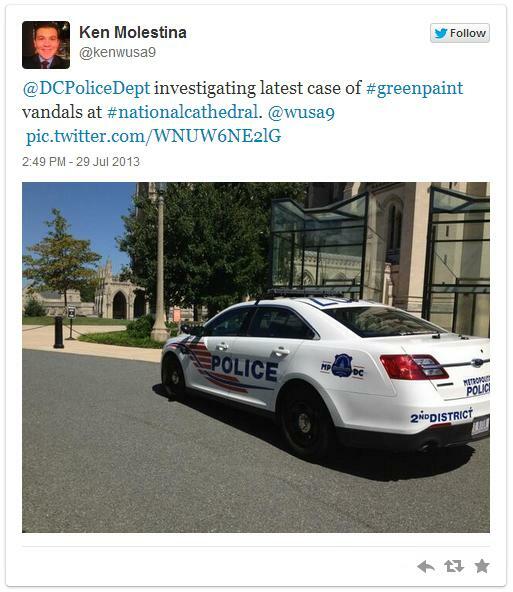 Two chapels at the National Cathedral and a Smithsonian Statue were vandalized today with green paint. The Children’s Chapel and Bethlehem Chapel were both vandalized. Tian Jiamel, 58, was arrested inside the cathedral shortly after the paint was found and charged with defacing property. 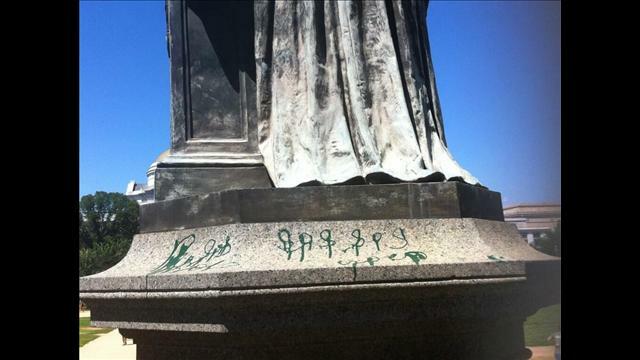 A Smithsonian Statue was also defaced today with green paint. A woman "with a language barrier” was arrested today for vandalizing the National Cathedral and a statue at the Smithsonian. The woman was arrested inside the cathedral shortly after the paint was found, police and cathedral officials said. Investigators were hoping to question her about the vandalism on the Mall, including at the Lincoln Memorial, but a language barrier delayed the interrogation, Assistant D.C. Police Chief Peter Newsham said. The woman would likely be charged with destruction of property, Newsham said. 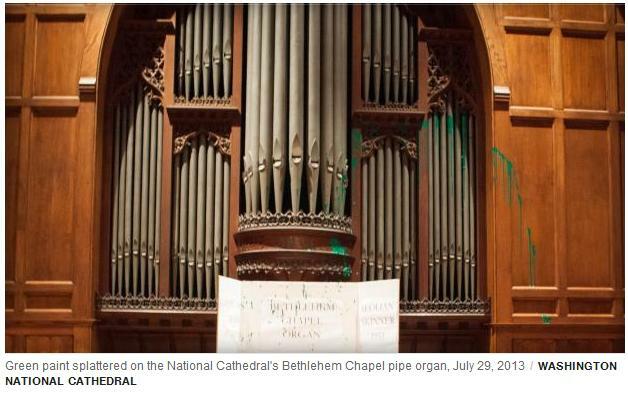 The paint was splashed onto an organ and on the floor inside the cathedral’s historic Bethlehem Chapel on the basement level, officials said. It was also found inside Children’s Chapel in the nave of the cathedral. 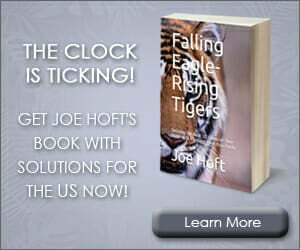 Also Monday, U.S. Park Police said green paint was found on the statue of Joseph Henry outside the headquarters of the Smithsonian Institution on the Mall. Henry was the Smithsonian’s first secretary. If anyone can read what she was writing on the statue or can detect the language that would be helpful.